Should I Stop Contributing to Retirement Accounts if I’m Planning on Early Retirement? As with any tax-planning question, the answer is, “it depends.” In most cases, however, it makes sense to continue contributing to retirement accounts, even if you’re planning on retiring early. For people (unlike our reader) for whom a 401(k) match is available, it definitely makes sense to get that match, regardless of planned retirement age. A concern that many people have if they’re planning to retire prior to age 59.5, is that they will have to pay a 10% penalty to get to their money. But the 10% penalty can typically be avoided with sufficient planning. For instance, any money that you contributed to a Roth IRA (as opposed to earnings in the account or amounts in the account as a result of Roth conversions) can be taken out of the account at any time, free from tax or penalty. Finally, it’s worth noting that if you’re planning to retire very early, it’s likely that you’re going to be saving more per year than you can contribute to retirement accounts anyway. So you’re going to have some savings in taxable accounts even if you continue contributing as much as possible to retirement accounts. All of the above deals with whether you would have tax-free/penalty-free access to the money. But that’s only part of the analysis. What will be my marginal tax rate (including 10% penalty, if applicable) when this money comes out of the account? *As always, “marginal tax rate” might be something other than just your tax bracket. For instance, your current marginal tax rate could be greater than your tax bracket if making a contribution to a tax-deferred account would allow you to claim the retirement savings contribution credit — or if it reduces your adjusted gross income to a level such that you can claim some other deduction/credit. **The longer your money is expected to be in the account, the more valuable this faster rate of growth. Also, a key point is that if you’re in the 15% tax bracket or below — and you expect to stay there — qualified dividends and long-term capital gains are already tax-free in a normal taxable account. So having the money in a retirement account won’t provide nearly the same benefit as it would for somebody in a higher tax bracket. As we’ve discussed many times, I’m a fan of simple portfolios in general. But that’s simply a personal preference. My view has generally been that, if a person doesn’t mind managing a complicated portfolio, there’s nothing wrong with doing so. This week, Christine Benz of Morningstar makes a case that there are circumstances in which it’s important to use a simple portfolio, regardless of your personal preferences. What Change Would I Make to My Portfolio? I began using the Vanguard LifeStrategy Growth fund for the entirety of our retirement savings back in 2011, and I have been super happy with the fund. I really appreciate the hands-off nature of an “all-in-one” fund. Still, if I were to make a change, I know exactly what it would be. I would swap out my bond funds for CDs. Allan Roth has convinced me that active management is worthwhile in fixed-income — via shopping for CD rates. And because that means I would no longer be able to use an all-in-one fund, I would use Vanguard’s Total Stock Market Index Fund and Total International Stock Index Fund for my stock holdings (or possibly Vanguard Total World Stock ETF). On the fixed-income side, there would be a significant increase in yield and a decrease in risk. On the stock side, the risk would remain the same, but there would be a slight decrease in expense ratio. In other words, it’s a strict improvement in terms of risk/return. Risk goes down slightly and expected return goes up slightly. So in short it’s just a question of how much I’m willing to pay (in the form of forgone earnings) for the simplicity of an all-in-one fund. As our portfolio gets bigger, the amount we’re paying for that simplicity each year grows. It’s likely — though not certain — that at some point I’ll decide that the price is sufficiently high that I no longer want to pay it. 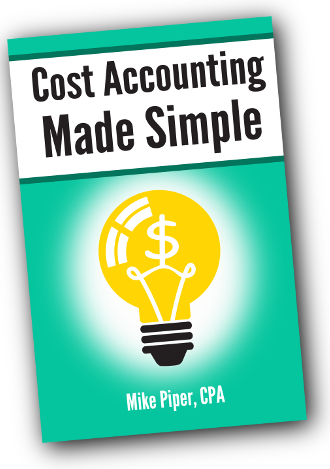 How Much Does Simplicity Cost? On the stock side of the portfolio, the weighted-average expense ratio would decrease by 0.094% (due to switching to Admiral shares rather than the Investor shares held by the LifeStrategy fund). So for every $100,000 that’s invested in stocks via a DIY allocation rather than a LifeStrategy fund, there would be annual savings of $94. Not a big deal, but not nothing either. Much more significant is the improvement on the bond side of the portfolio. As of this writing, Vanguard Total Bond Market Index Fund has an SEC yield of 2.25%, with an average maturity of 8.3 years and average duration of 6.1 years. And Vanguard Total International Bond Index Fund has a yield of 0.77%, with an average maturity of 9.2 years and average duration of 7.8 years. So, given the US/international breakdown of the bond holdings in a LifeStrategy fund, the current weighted-average yield is 1.81%. By way of comparison, via Vanguard Brokerage you can currently get a 5-year CD yielding 2.35% or a 7-year CD yielding 2.5%. If you’re willing to look elsewhere (e.g., shop around on bankrate.com or depositaccounts.com) you can often find slightly better yields. And CDs have no default risk (provided you stay under FDIC limits) and in many cases less interest rate risk (because if you buy directly from a bank you can often find some with very low penalties for early redemption). So for every $100,000 invested in CDs rather than in bonds via a LifeStrategy fund, that’s an increase of $690 in expected interest per year (assuming a 2.5% yield on the CDs) — and a slight reduction in risk. I don’t know exactly how high the annual cost would have to be before I make the switch. But I think it’s reasonably likely that it will happen at some point. 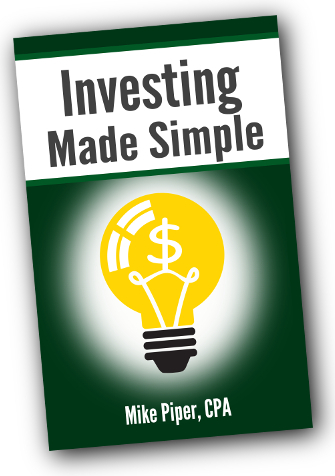 For most investors, index funds (or ETFs) are the best tool for building a simple, low-cost, diversified portfolio. Many people argue, however, that index funds have detrimental effects not on their shareholders but on the market overall. This week Morningstar’s John Rekenthaler takes a look at three of those assertions. Do Dividend Stock Funds Belong in Your Portfolio? The most important question here is what would be removed to make room for the dividend funds? For the last several years, with interest rates stubbornly staying at low levels, some people have asserted that high-dividend stock funds can be used as a substitute for bond funds. To put it plainly, that idea is nuts. For instance, the following chart (made via the Morningstar website) shows the performance over the last 10 years of Vanguard Dividend Growth Fund (in blue), Vanguard High Dividend Yield Index Fund (in orange), and Vanguard Total Bond Market Index Fund (in green). There’s no question that the two dividend funds are much riskier than the bond fund. Dividend stock funds are simply not a suitable substitute for a bond fund. Bonds can play the role of the “mostly safe” part of your portfolio. Dividend stocks cannot. But using dividend-oriented funds as a part of your stock holdings (i.e., in order to give high-dividend stocks a greater weight in your portfolio than other stocks) is a reasonable position. It’s not a position I plan to take with my own portfolio, but I wouldn’t tell somebody else that it’s a mistake to do it with their portfolio. So, when viewed from a total-return perspective, how have dividend-stock strategies performed relative to “total market” strategies? It depends what period we look at, and it depends what we use as our measure of dividend stock performance. For instance, a piece of Vanguard research from earlier this year found that from 1997-2016, global high dividend yielding stocks and U.S. dividend growth stocks both earned higher returns with less volatility than a global “total market” collection of stocks (primarily due to dividend stocks not being hit as hard as the market overall during the decline of tech stocks in 1999-2000). As another example, the following chart compares the performance of Vanguard High Dividend Yield Index Fund (in blue) since its inception in 2006 to the performance of Vanguard Total Stock Market Index Fund (in orange). Over this particular period, it was basically a tie. (The total market fund ends up with a very slightly higher value.) And you can see that the two index funds have tracked each other super closely. Every time I look into this question I come to the same conclusion: if you want to hold dividend stock funds because you see that dividend strategies outperformed total market strategies over some particular period and you think the same thing will occur over your particular investment horizon, go for it. But, as always, be sure to diversify broadly and keep costs low (i.e., don’t bet your financial future on just a few dividend stocks, and don’t pay a fund manager or advisor a pile of money to pick dividend stocks for you). And finally and most importantly: dividend stocks are not a substitute for bonds. Finding a financial advisor who meets your needs is often a challenge. There are many good advisors out there, but there are plenty of bad ones too (i.e., advisors who have insurmountable conflicts of interest, advisors who charge far too much for what they provide, and advisors who simply aren’t well informed about the topics for which they’re providing advice). Christine Benz has a two-part series this week providing a list of questions you should ask yourself (to figure out what kind of advisor you’re seeking) as well as a list of questions to ask a potential advisor.